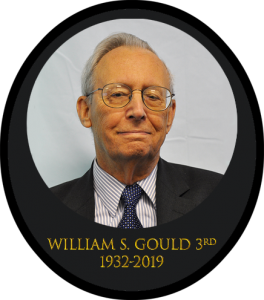 Magnetic Analysis Corporation is sad to report the passing of our Chairman and long-time President, William S. (“Bill”) Gould on March 14th. Bill Gould succeeded his father as President of Magnetic Analysis Corp. (MAC) in 1964 and remained in that role until 2007, a remarkable 42 year run in which he successfully built MAC from a small, U.S. oriented eddy current testing company into a global leader in eddy current, ultrasonic and flux leakage equipment and services. 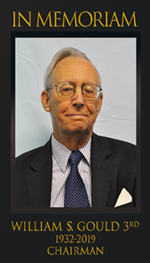 Bill remained Chairman until his death and was honored as a fifty year member of the American Society for Nondestructive Testing in 2016. During his remarkable career, Bill mentored hundreds of MAC employees at all levels. His genuine love for the company and its people was evident to all. He combined an extraordinary knowledge of the science behind MAC’s products, a keen understanding of the financial and strategic positioning of the company and a genuine desire to provide an opportunity for each employee to grow to their full potential. The result was not only the successful growth of the business despite extraordinarily difficult market conditions but also the long-term commitment of many dozens of employees all over the world who came to feel, like Bill, that MAC was a family. Bill presided at his last board meeting one week ago and was pleased by what he heard. Under the leadership of President Dudley Boden and Chief Financial Officer Tom Gannalo, MAC continues to thrive. The Gould family, which has been the controlling shareholder of MAC since its founding in 1928, remains committed to the business and Robert R. Gould, who has been on the Board of Directors for 24 years and Vice Chairman since 2014, is expected to succeed his father at the company’s regularly scheduled annual meeting in the spring.